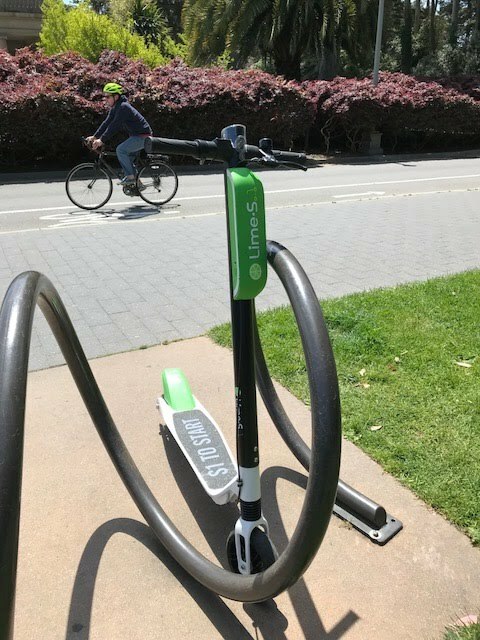 The newest disrupter in San Francisco is a company offering several thousand electric scooters in the city that don't have to be docked at a station - they can be left anywhere. Some people love using them — after signing up they just jump on them and go, saving time and money on short distances. However, this has not only created the dilemma of scooters left all over the place, but also a lot of controversy because the company didn't ask City Hall permission to offer this service. It was probably hoping that once people use the scooters, they would support the venture, but there's a lot of pushback from those who don't use the service, annoyed that yet another company is trying to fly under the radar without any regulations. AirBnB, Uber and Lyft are examples of this brash behaviour. They are banking on the fact that governments are going to take a while to finally crack down on them, and when it finally gets to that point, the service would be so much a part of users' lives that the authorities can't be too severe in terms of banning the service completely. While we didn't see hordes of people using these scooters, the service has only been around for a month or so. It just might take off — or not.